A very dramatic horror/thriller movie..beautifully filmed! A great dramatic movie. I didn't expect so much drama as I watched the trailer first, and couldn't see much of it in the trailer, but I really had to control my tears during the movie, at least 3 times, if it wasn't for more. Wonderful picture and lights. Great songs "a la Ennio Morricone" style. I especially loved the last part of the movie. 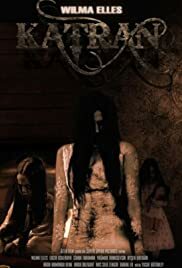 If you don't like drama at all, and you only like to watch action packed Horror movies, flying ghosts, zombies or Draculas, you might be disappointed in the genre of the film. So don't expect action-packed scenes, car chasing's, walking zombies or biting Draculas. It was more a genre like Nicole Kidman's "The Others", but I liked this one more, however it would be great if Nicole was in this one too. I don't know the leading actress Wilma Elles but she did a good job in this film. Not bad..